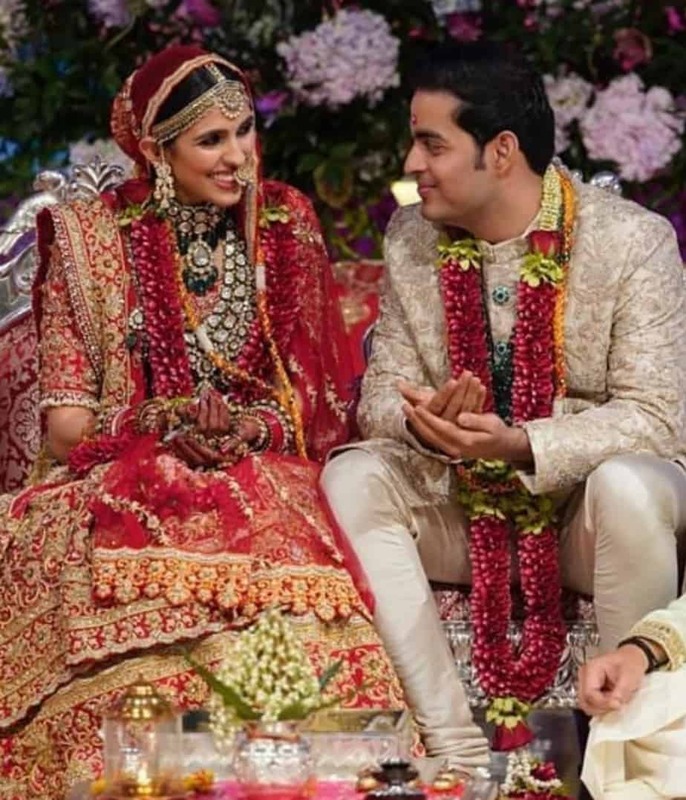 Abu Jani Sandeep Khosla Shloka Mehta – A Bride With Right Amount Of Tradition! 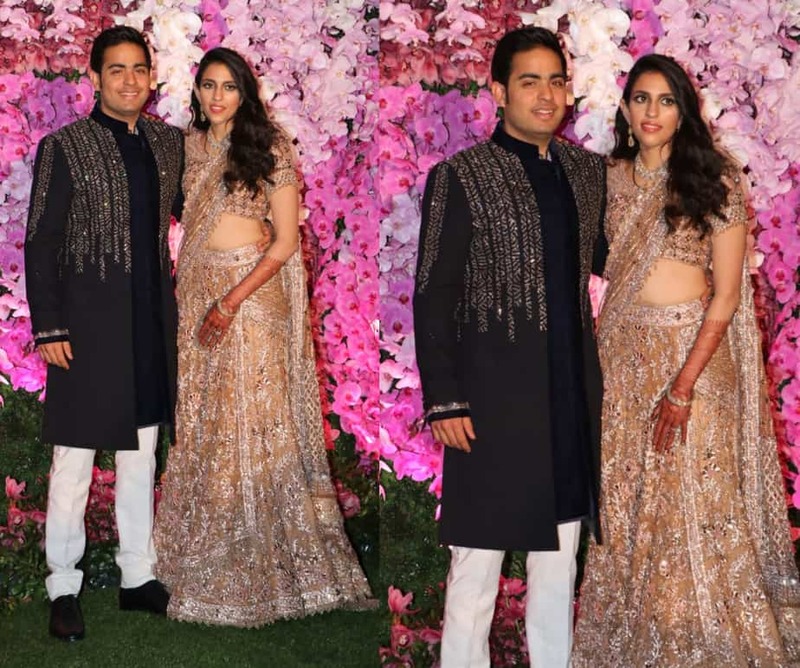 Mukesh Ambani’s son, Akash recently got married to his long term girlfriend Shloka Mehta in Mumbai. 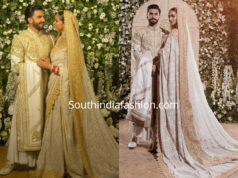 The wedding was most noteworthy and it has everything that can be expected from an Ambani wedding. It has lavishness, royalty, sophistication, extravagance and even more a spectacular guest list. The celebrities from all walks of life including Bollywood-Hollywood, Sports, Politics and Industries in attendance. Among all this glitz and glamour, the highlight of the wedding remained the trendy and fashionable couple. The bride, Shloka indeed grabbed special attention for her looks. She was a beautiful mix of modernity and traditional elegance. Firstly, for the star-studded engagement bash that was hosted by the couple, Shloka opted to wear a mesmerizing gold ensemble. 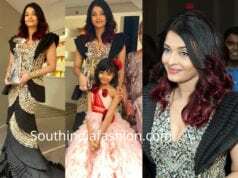 It was created by A-list designers Abu Jani-Sandeep Khosla. Use of the minimalistic jewellery by Shloka made her look just perfect for the occasion. She opted for a maang-tikka, necklace and bangles, all in diamond. The look perfectly complemented the bride’s taste while not making it look over the top. In addition, the makeup was also very minimal adding to the overall grace. In short, Shloka had a classy and elegant bride-to-be look. Secondly, for the pre-wedding celebrations. 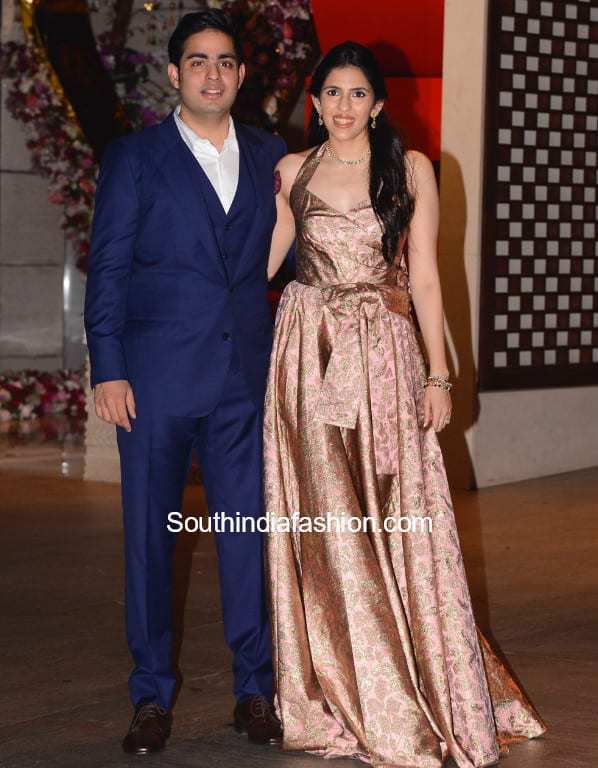 The Ambani’s hosted the pre-wedding festivities in St Moritz, Switzerland. The theme of the celebrations was ‘Winter Wonderland’. Quite aptly, Shloka kept her look very modern and ensured that her charm ensued throughout the celebrations. 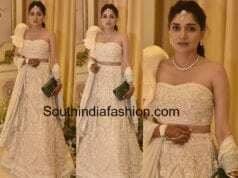 During the musical night in St Moritz, Shloka opted for a strapless off white gown with her tied hair to complement the look. In the same vein, she accessorized her look with minimal makeup and jewellery. This ensured she could dance away the night in her fairytale wedding celebrations. Thirdly, comes the bridal look. Shloka chose a very traditional look for her wedding day. She looked every bit a heavenly bride in her Abu Jani-Sandeep Khosla lehenga. 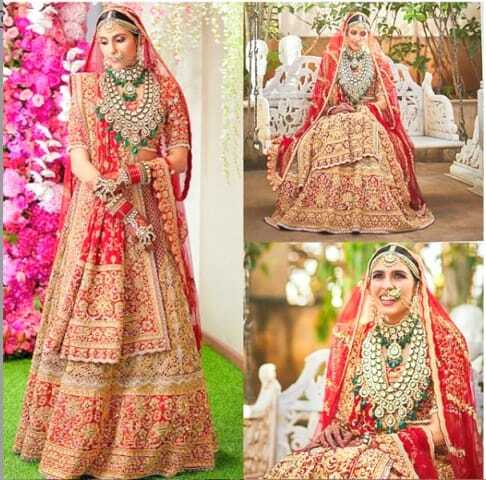 The embroidered lehenga was in the traditional colour of the bridal attire- red along with traditional wedding jewellery. She intended to blend in the jewellery and makeup perfect for the perfect bridal look. A beautiful bell-shaped border made the ‘odhni’ for Seven Vows to look pretty enough. Therefore, this earns Shloka full marks for her flawless bridal look. Finally, it was the reception for newlyweds. The final look was the reception look. Shloka kept this look understated with a cream Lehenga draped in a saree style. The look was very contemporary yet classic and most importantly the draping accentuated the look of the bride. Certainly, it was completely apt for the occasion. To conclude, all bride-to-be can take a few tips from Shloka Mehta’s various wedding looks. This would help them in rocking their bridal look as well. Shloka had a just perfect combination of traditional modern wedding look. Deepika and Ranveer at their Wedding Reception in Mumbai!